One of the upcoming mattress trends is the Green bed. These beds are made from completely organic materials with no harmful or toxic chemicals. One of the leaders in this new market would have to be the Avocado Mattress. Their Avocado Green mattress is an excellent examples of a healthier, friendlier bed. Read our Avocado Mattress Review of the Green Mattress and see why natural is good. The Green Mattress is a medium firmness that is still soft enough for side sleepers. 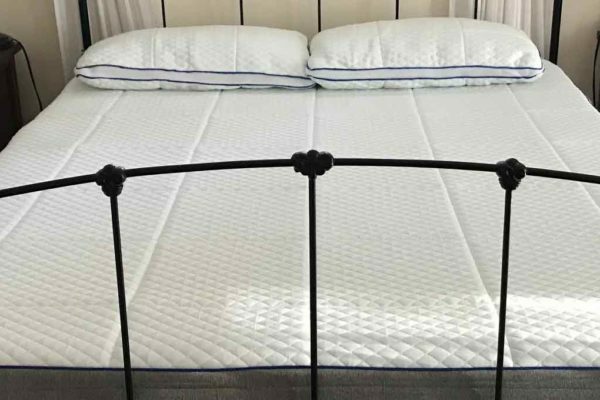 We gave the Green Mattress a 6 out of 10 firmness rating (10 being the firmest). The top of the Green Mattress is a European-style pillow top that provides a soft, pillowy feel. Blend that with the 3 inches of natural latex below, and sleepers find a comfort level that is soft but with a bounce. The Green Bed is ideal for side and back sleepers. Even with this level of comfort, the Avocado Green Mattress provides phenomenal support. They use an 8″ coil support system to provide a supportive sleep. 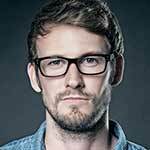 We find that pocket coils tended to add a significant amount of responsiveness that foam just can’t match. Just the right amount of sink. Our research found that the Avocado Green had a sinkage of 2″-3″ when laying in the middle. The pillow top and latex beneath conform to the sleeper’s body. The coils underneath reduce any sag, and sleepers end up with a comfortable depth that doesn’t feel like quicksand. A mattress with a latex top and coils is going to be more responsive than memory foam. Our research didn’t find too much horizontal motion transfer. The Avocado will have more movement than a mattress topped with memory foam. We prefer responsive mattresses as they provide a more energetic sleep. We found no issues with the temperature of the Green Bed. Latex and springs are much cooler than memory foam. The bed also uses a Pure New Zealand Wool lining that pulls heat and moisture away from the sleeper. Top that off with an organic cotton mattress cover that allows for easy airflow. This Avocado mattress should be suitable for all temperatures, hot and cold alike. We found no issues with Off-Gassing (the odor let off by the mattress) and we never expected to. It was essential for Avocado to create an entirely organic mattress. Customers are sleeping on 100% natural latex foam sustainably harvested from rubber trees. The fabric is Joma New Zealand Wool and certified organic cotton. Customers have nothing to fear when it comes to chemicals or other synthetic products. The Avocado mattress gets a 6 out of 10 firmness. The latex top layer gives great responsiveness. The extra plush top is ideal for sleepers who want comfort. There was a good 2-3″ of sinkage with the Avocado Green Mattress. Customers can get a snug bed but still have good support beneath. Avocado prides themselves on having an organic, Earth-friendly mattress. A lot of other beds make the claim, but the Avocado Green Mattress actually uses 100% natural latex. Avocado’s 100% natural latex provides a cool and airy sleeping experience. 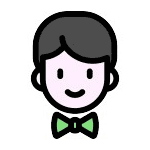 TopDown is currently working with Avocado to get our customers a small discount. For the meantime, click the link below to head to Avocado’s website and look for coupons there. 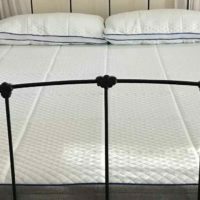 Once we have some Avocado mattress coupon codes, we will update this review. The Green Avocado mattress defines what being organic means. Avocado stripped the bed down to the basics and rebuilt it with wholly natural elements. Instead of synthetic fabric they use wool. They stay away from petroleum based memory foam, instead choosing to use a latex found in nature. Even the Cotton topping is 100% certified organic cotton. Avocado goes out of its way to ensure that every part of their mattress is natural and clean. A sturdy and durable GOTS-certified organic cotton layer surrounds the Green Mattress. The cover is hand stitched, and button tufted with the use of any chemical adhesives. A Pure Joma wool layer rests beneath the cover to wick moisture away and act as a fire retardant. 2 inches of latex in a European style pillow top give the balanced feel that is a blend of soft and firm. 2″ of slightly softer latex allow for a gentler weight dispersion. 1″ of denser latex acts as the core base element of the top 2 layers. The 5 inches of latex are set up to provide a comfortable but supportive sleep. The real support comes from the 8″ of spring coils that lay beneath the latex. These coils provide incredible response and support for the sleeper’s body above. We learned during our Avocado Mattress review that they have earned aSeal of Approval from the Congress of Chiropractic State Associations® for back and spinal health. The Avocado mattresses are surprisingly reasonable for the quality of material they contain. The Avocado Green mattress will cost the customer $1,399 for the queen. This price is more than other beds, but amazingly low compared to other organic green beds. The natural Essentia Classic eight mattress will cost customers $2,875. Clean materials cost more, and we believe Avocado mattress is a bargain for the organic mattress industry. 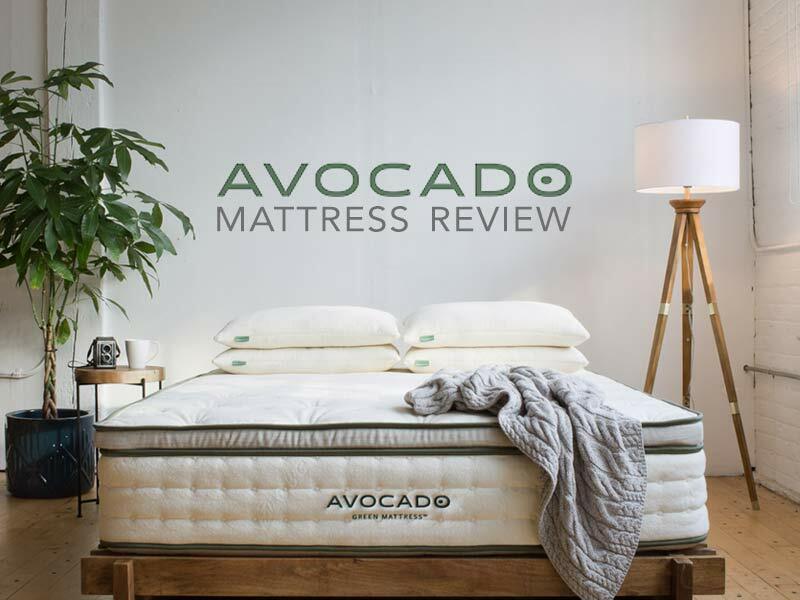 Let us know what you think about the price in the comments section of our Avocado Mattress Review. Optional $99 white glove service will install mattress and remove old one for you. 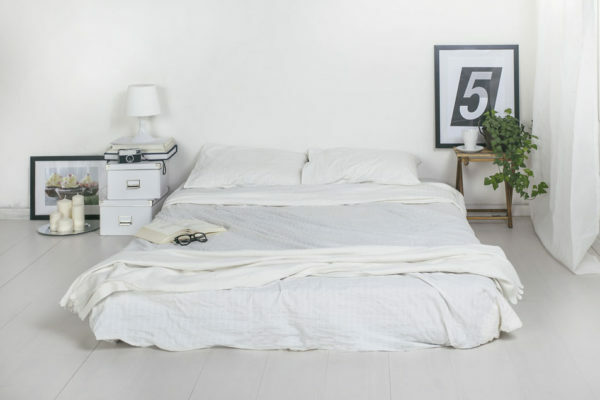 Sleeper’s looking for a medium firmness bed that is 100% organic have found their mattress. The Avocado Green Mattress combines tree harvested latex with spring coils to provide a heavenly sleep. Spring coils provide support and a high level or responsiveness. 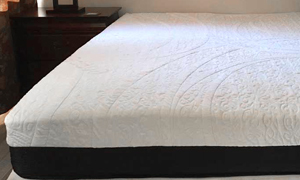 The Green bed is a relatively inexpensive price tag for the organic mattress market. Customers have a 100-night risk-free trial to make sure they love it. I have been shopping for a bed for sometime and this review was very helpful. The issue I have found is that high quality materials are rarely used in many of the other brands. Way too much petroleum based materials often dressed up with fancy names. I am very socially and eco conscience and don’t mind spending a few extra dollars for quality. I’ll be purchasing an Avocado simply for the fact I’m confident they stand for the same things I do.